Stanley Classic Vacuum Bottle Just $17.71! Down From $40! You are here: Home / Great Deals / Amazon Deals / Stanley Classic Vacuum Bottle Just $17.71! Down From $40! At Amazon, you can score this Stanley Classic Vacuum Bottle for just $17.71 down from $40 PLUS FREE shipping with Amazon Prime or for orders $25 and above! The outdoors has never looked and tasted so good. The Stanley 1.1 qt. Vacuum Bottle has a leak proof and packable design. Double wall, vacuum insulated, rugged, steel design is the ultimate in durability. 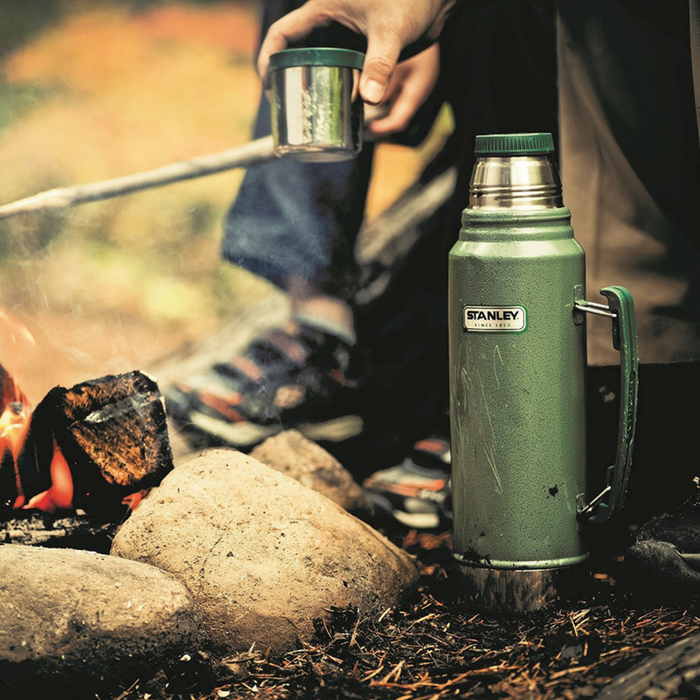 Two lids in the cup make it easy to share coffee that will stay hot all day long.